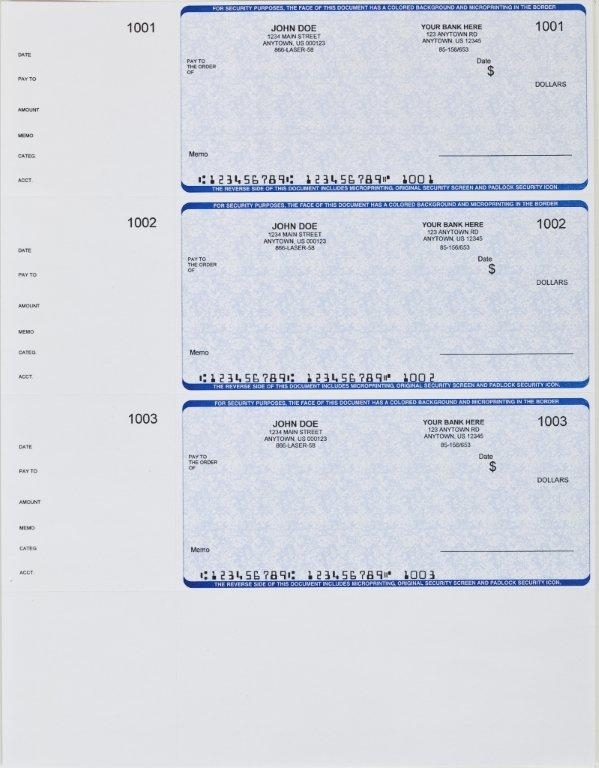 When you’ve got too many checks to write by hand, these personal wallet-sized checks are the perfect way to save a little time and effort. With three wallet-sized checks on each page, you’ll be able to pull up your accounting software, type in the key information, and be on your way. 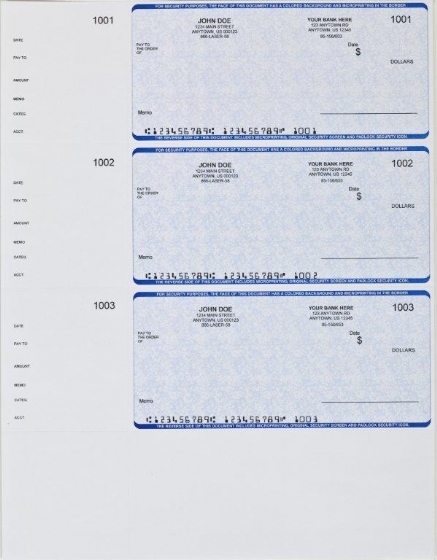 These checks are compatible with Quicken, Quickbooks, Microsoft Money, and other software’s that print on 3 to a page personalized checks, so you’ll be able to easily adapt it to your personal accounting needs. Each page also includes a side stub that will allow you to print relevant payment details for your record-keeping benefit. Compatible: These 3 on a page checks are compatible with checks conmpatible with quicken and quickbooks software however they ARE NOT compatible with quickbooks online version. Detached Check: 6 1/16" x 2-5/6"